This image was taken with a Mamiya 645, medium format film. 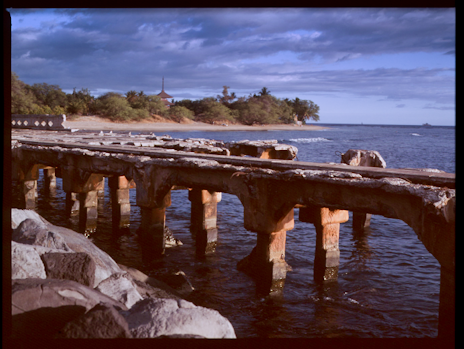 It was taken out by the pier off of Mala Wharf here in Lahaina. It is a well known and popular dive location that I myself have been through a few times. I love this! Great shot Jeffrey. And by the way your blog looks AMAZING!! !